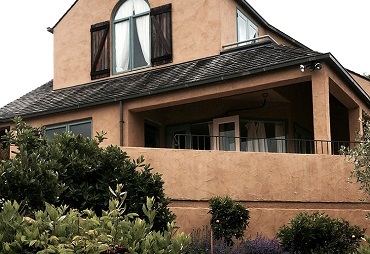 Whether you need interior, exterior, residential or commercial renovations, Edgeware Renovations offers renovation services with an immaculate finish. We have specialists on board for everything from wallpapering and painting to carpentry projects, to Rockcote application and property maintenance. Our service area runs from the central city to outer areas of Christchurch including Hornby and Banks Peninsula. When it comes to the workmanship and competence of our builders, plasterers, and painters, Christchurch customers have rated them 5/5. If you need someone to complete repairs or assist in renovations and new builds, call for a no obligation quote. All projects are personally supervised by owner-operator Andrew Fox. All our Rockcote repairs are carried out by a Licenced Rockcote applicator who contracts to us and who has over 20 years experience in the trade. Why should you engage professional plasterers? Christchurch weather can be changeable at best, so make your home weather tight with an immaculate finish! 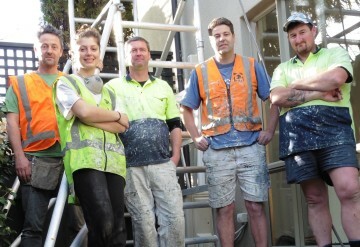 Free, no obligation quotes from our painters & plasterers Christchurch wide. Attendance at your property by the next day to measure up. Edgeware Renovations is an experienced, all tradesmen team of painters and decorators. Read more about the ‘A team’ here. Edgeware Renovations completes a wide range of residential and commercial renovations including painting, kitchens, bathrooms, building maintenance, plastering & Rockcote application. Get in touch today. We have served many happy clients over the years. Our aim is to provide friendly service and a high-standard of work in every project we do. Browse through some of our latest projects here. 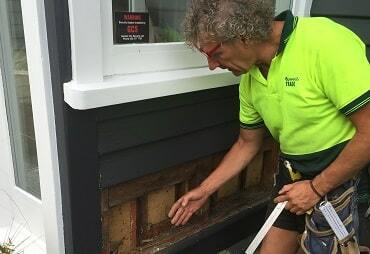 Our team of Christchurch renovations specialists work throughout Christchurch and the Banks Peninsula area including Sumner, Lyttelton, Kaiapoi, Halswell, Fendalton, Brighton, Belfast, Hornby, Spreydon, Woolston, Opawa, Beckenham, Burnside, Sydenham and St Albans. © 2019 - Edgeware Renovations. All rights reserved.Beans theme for WordPress.